Fasting with fruits and vegetables will help you lose weight fast. During the first seven days of juice fasting one can easily lose anywhere between 10-to-40 pounds. While a lot of that initial weight loss will be water weight, it is weight loss nonetheless. One heck of a good start. After seven days the weight loss gravitates from half-a-pound to one pound per day, depending on the level of activity and quantity of juice you drink (we'll talk more about this in a little while). 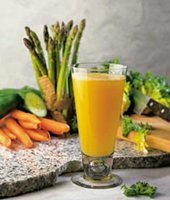 A 30-day juice fast can help one to lose 25-to-40 pounds. But there are some who lose much more. 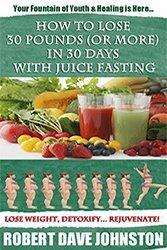 I have known people who do a 30-day juice fast and lose 60 pounds. One man I know juice fasted for 60 days and lost 110 pounds! The numbers will fluctuate depending on how your body is made. If you stick to the half-a-pound to one-pound-per-day figure, you will not be disappointed. Anything additional to that will be a bonus. Fasting Detox Cleansing Juice fasting also cleanses your body/digestive system of disease-causing toxins. Furthermore, the nutrients in fruits and vegetables have the capacity to boost your immune system and help your body fight disease - in many cases relieving and even curing illness. You have absolutely nothing to lose but a LOT of health and vitality to gain. Millions can attest to this... and the numbers are growing every day. With the increasing cost of healthcare and medications - and with the surge in air, water and food-based toxins -, more and more people are looking for natural ways to prevent and treat disease. Juice fasting is, by far, one of the best ways to get started. This process, however, does require some work. You will need to purchase the fruits and vegetables, wash, peel and prepare them for juicing - AND you will need to have a good juicer.The cleaning process can also be a little tedious since the pulp in fruits and veggies can make one heck of a mess. Are you willing to do that? Believe me, these are VERY minor inconveniences compared to the amazing health and quick weight loss benefits juice fasting ALWAYS gives. Juice fasting, in a nutshell, is the substitution of solid food in favor of raw fruits and/or vegetables liquefied by hand or in a juicer. It is basically a liquid diet carried out for as little as 24 hours to as long as 100 days and beyond, depending on the purpose for which it is being done.I have heard of juice fasts going on for as long as a year for the healing of chronic illness, although the people DID add these soy protein powder and liquid multivitamin supplements. Juice fasting can also be done on a "per meal" basis. In other words, instead of having lunch a certain day, you prepare a glass of juice and substitute it for the meal. Once a week, twice weekly ... intermittent fasting by jucing three days a week and eating for four - these are all alternatives at your disposal. Whatever your schedule and availability, there is a juice fasting program that you can implement. There really are NO> excuses. Whatever one is able to start with is fine. Even fasting one day per month is better than nothing. 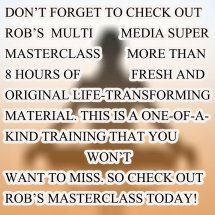 In this fast-paced world in which we live, it is increasingly difficult to decelerate in order to learn, practice and carry out new ways to improve our lives. Fasting has been overlooked in the past even though it has the seed-promise of physical, mental and emotional health. In recent years, however, studies have emerged which give it increased credibility. It has been found that abstaining from food for a given amount of time can actually improve overall health and wellbeing, as well as have marked anti-aging and life extension benefits effects. The ancients knew this ... and the modern world is catching on! I have a feeling that juice fasting and water fasting will continue to increase in popularity during the 21st century. Considering the billions of dollars that are spent annually in skin care, anti-aging and weight loss, it is important for you to realize that simply adopting a juice fasting lifestyle can help you to accomplish ALL of these benefits. In my opinion, fasting is definitely one of the cheapest and fastest ways to get there. Even if you are a skeptic; stick around! You may, after some further reading, decide to give it a shot. As we have mentioned in other parts of this site, almost all disease originates in the digestive tract. There are many holistic medicine enthusiasts and practitioners who would easily say the correct word is ALL ...period. The danger is greater for persons who are more than twenty pounds overweight and who eat poorly. Those who suffer from the heartbreaking cycle of binging eating disorder are especially vulverable. Juice fasting, whether with fruits, vegetables or a combination of both, is a powerhouse of healing and can notably improve these life-crippling conditions. Juice fasting has the potential to heal the entire being: body, mind and spirit. When the body is detoxified, the mind becomes sharper. It is not uncommon for persons that juice regularly to report that they function better, think more clearly, have more energy and no longer are pressed-down by ongoing depression and anxiety. If you have been stricken by these types of paralyzing emotional foes, juice fasting can definitely help. When the mind is clearer, a person is able to focus his or her physical and mental resources with greater efficiency. The result is deeper wisdom and discernment. A person can often come to live in a "higher plane" of awareness just by being able to think more clearly. When toxins are eliminated from the body through juice fasting or water fasting, the blood that flows through our veins is much cleaner and more powerful which, in turn, energizes the mind. It is truly amazing. I have seen people crippled by depression make dramtic recoveries through fasting. It is definitely a powerful start to the recovery process. None of us were born or came into this world to live our lives in obesity, toxicity, misery and depression, don't you think? One of the biggest lessons in juice fasting I received was from a friend who was diagnosed with cancer and was fighting for her life. This amazing lady was the first to ever tell me that, Fasting gives your digestive system the opportunity of a lifetime - to rest and flourish again. This precious friend inspired me through her strength-of-will and courage as she embarked in a prolonged period of juice fasting to fight the dreaded cancer. Chemotherapy was not treating her well. She knew there had to be an alternative. She devoured traditional and holistic medicine books, eventually arriving at a resource in which persons with chronic diseases said they had found relief and even healing through fasting. She immediately began a weekly program of 24-hour juice fasting for several months. She would return to normal eating the following day, and fast again for one-day the same day the following week. Being very wise, she added more days later under her doctor's supervision until she actually carried an uninterrupted juice fast for 60 days. During the process, I could see her health and wellness coming back. She literally went from a bedridden dying person to one who could get up, cook and even walk her dog. As the months went by, the color started coming back to her face until, two years later, she beat cancer altogether. She did this with both juice fasting AND chemotherapy. JUICE FASTING HAS THE POWER TO HEAL DISEASE; THERE IS NO DOUBT ABOUT IT! However, this hope and promise of healing should BY NO MEANS lead you to arbitrarily abandon medical treatment. Juice fasting IN ADDITION to whatever else has been prescribed is the safest and most responsible way to go with any illness, especially one as deadly as cancer. Many do find, however, that after some time of fasting they are able to reduce and even eliminate harsher treatments. But that decision should be made by a physician in the light of test results. In short, there is a lot of hope. Whether you are ill, or simply wish to lose weight and get healthier, juice fasting is a powerful way to do it. During the time my sick friend started fasting, I recall being physically and emotionally drained myself. My body was beat-up pretty bad from poor eating habits, a hormonal imbalance, lots of stress and difficult family/financial situations. It was bad. I had a hard time concentrating and started to have periods of insomnia. I was in deep emotional turmoil and my joints were stiff and achy. All told, I was exhausted and sick. Impressed by the miraculous results my friend got, I decided to learn more about the benefits of juice fasting. I made up my mind to start doing a juice fast at least once a week, increasing the number of days as my body grew accustomed. Little did I know that I was about to embark in the journey of a lifetime, much of which culminates in the pages you are now reading. When juice fasting, one consumes lots of fruits and vegetables in liquid form. So I went to the supermarket and bought my favorite ones, including apples, pears, cantaloupe, grapes, grapefruit, oranges and cabbage, collards, lettuce, wheat grass and watercress. This is a standard recipe with lots of nutritional potency that I always recommend. It is truly a detox and disease-killing powerhouse. I learned that the body needs one pound of uncooked vegetables per 50 pounds of weight. Juicing makes this possible to achieve. Assimulation of nutrients is faster since the body does not have to separate the fiber. And above all, juice fasting gives the body very important nutrients called enzymes. Enzymes are essential for digestion and food absorption. They protect our cells from being damaged by the many toxins in food, air and water. Enzymes also produce energy and body tissue. Juice fasting is a raw food diet at its very finest. For a discussion on raw food diets, visit fruit fasting when you have a chance. Fruit fasting is another type of system that I used where one goes for 7-to-21 days eating only apples, pears and bananas. Juice fasting side effects may include; skin eruptions and boils, dizziness and headaches. You may have bad breath, a metallic taste in your mouth and very strong body odor. Nausea, fever, weakness, irritability, diarrhea, vomiting, white paste-like film in the tongue, headaches and dizziness are all symptoms related to fasting and detoxification. Consult your physician before you start, even if you plan to only practice juice fasting once a week. People with serious health conditions, ulcers, diabetes hypoglycemia, liver and kidney diseases must not fast without direct and constant supervision by a qualified health care professional. If you have not had a physical exam in some time, this is the time to do so, along with basic panel blood work. Those taking prescription medications, as well as women who are either pregnant or nursing, are encouraged to talk to their doctors BEFORE starting any type of fasting program. This is not a speed race nor are we trying to break any world records. So DO IT, but be patient. The best way to prepare for juice fasting is to taper-off sugar, starches and greasy foods ONE WEEK before starting. Eat less. Don't overstuff yourself with food thinking that you are storing up to feel less hungry. You are not a bear going into hibernation. That is a no, no. It will not work. It will make you miserable later. Drink AT THE VERY LEAST half-a-gallon of water daily during this pre-fast period. Stay close to a toilet - especially if you NEVER have been much of a water drinker. Cut out steaks, pastries and anything with a high sugar or fat content. If you can eat mostly salads, steamed vegetables and lean poultry/fish for 7 days prior to fasting, the discomfort will be notably less. This is a golden nugget that I strongly advice you to follow. During the fast, prepare juices made up of a COMBINATION raw vegetables and uncooked fruits, organic if your budget permits. If not, don't worry about it. Regular supermarket fruits and vegetables will do just fine. But I recommend that you combine them. Some people drink juice only from fruits. In my experience, this is not optimal because many fruits contain lots of sugar which can spike cravings and have an adverse effect on blood-sugar levels. Besides, vegetables have tons of nutrients that I don't want you to miss out on. So use BOTH juice and vegetables! If you shy away from veggies because you don't like their taste: GET OVER IT! Trust me: even if at first you don't like them, liquefied veggies will grow on you. Of course, make sure you remove pits, tough fruit skins and, logically, citrus peels. I would be careful with grapefruit and citrus foods, unless you are specifically doing the Master Cleanser lemonade diet. You CAN use lemons and oranges ... but do it sparingly. Citrus fruits are very acidic and this may cause you intestinal discomfort. I highly encourage you to add organic wheatgrass to the juice. Wheat grass is part of the cereal family which includes barley, oat and rye grass. It neutralizes acid production and contains large amounts of chlorophyll, very similar to the hemoglobin in your blood. Wheat grass helps to reduce food cravings. The grass can be bought fresh or in powder form. The organic type linked above is the one I prefer. I recommend you take 2 Oz. a day of wheat grass mixed with your juice. As far as the actual portions of juice, I normally drink anywhere between 32 to 64 oz daily divided in 8 and 9-ounce portions. I drink five times a day, but you can drink more if you still feel hungry. I will go out on a limb and actually tell you to go ahead and drink as much as you want. If the hunger gets overwhelming, take a large swig of water. While I am fasting I normally drink up to one gallon of water per day - in addition to the actual juice. Bad nutrition, pollution, free radicals, stress, difficult life situations, etc - all produce toxic deposits in the blood stream. Nevertheless: There is hope. Move forward. You can cleanse through juice fasting and add many healthy years to your life. And do not forget to breathe, as breathing calms down hunger pains, detox symptoms and the volatile emotions that often surface while one is fasting.Check out the amazing book Free Your Breath, Free Your Life for more on this crucial, life-giving topic. Ok: Let's go to Fruit-Vegetable Detoxification and continue our juice fast discussion.